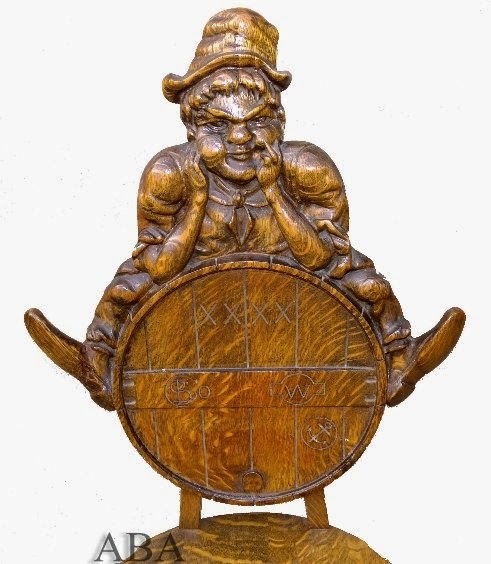 Some time ago, American Bottle Auctions listed a chair that they attributed to Shea Bocqueuraz & Co. (Auction 59 Lot #33). 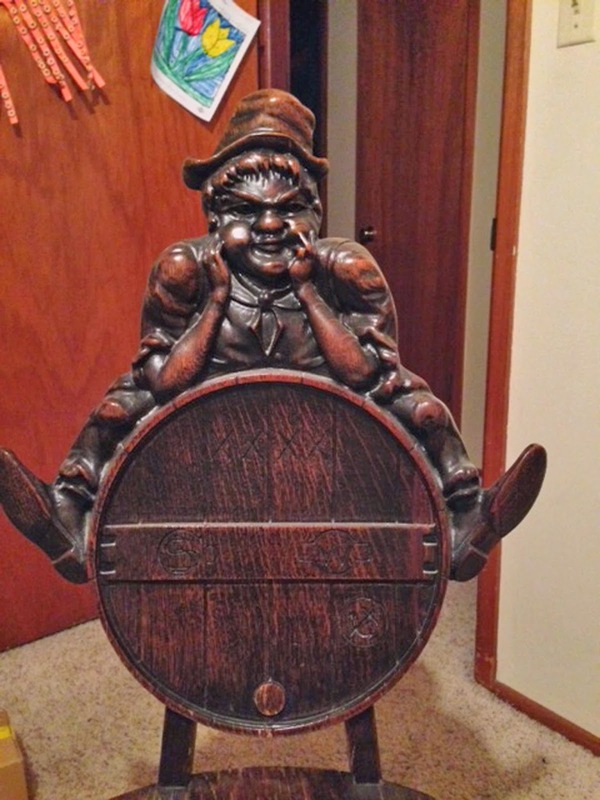 About the same time, a seller attempted to ride the wave of popularity this auction lot was enjoying, and listed a virtually identical chair for auction on eBay. Opinions about this pair of chairs were many and varied. 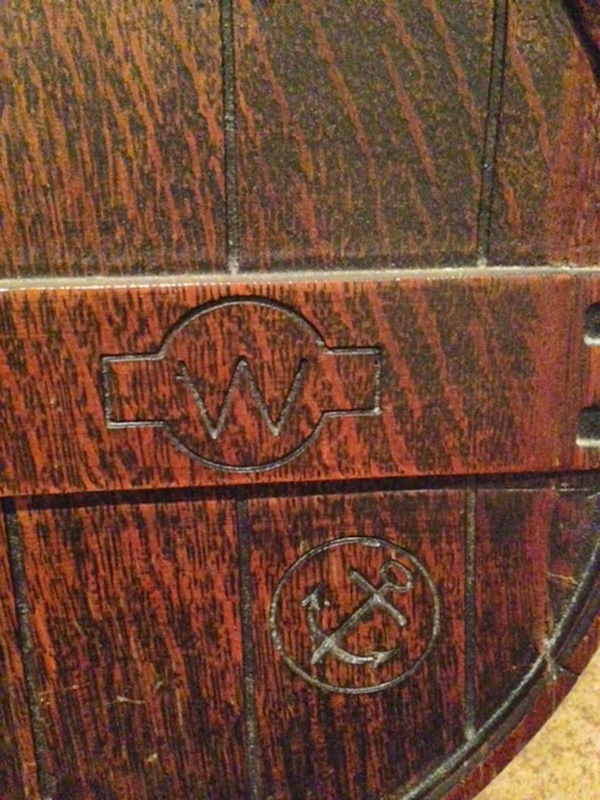 The general consensus was that these chairs may have been made for a California Brewer, perhaps Sierra Brewing Co., and not Shea Bocqueuraz of San Francisco whiskey fame. 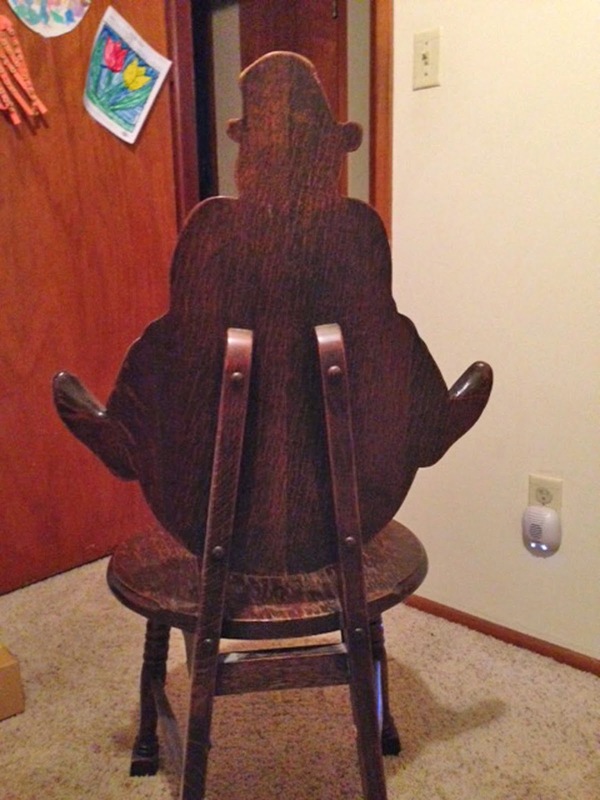 Regardless, at least two bidders felt that it was worth fighting over and when the bidding war ended, the chair had hammered for the princely sum of $5060~, including commission. The ebay listing is still moldering away, with ongoing price reductions and buy it now listings and re-listings. But the mystery as to who these chairs were made for, and where they originated remained a nagging question mark. Both chairs had obviously been refinished, and no nomenclature tags remained to clear up the mystery. 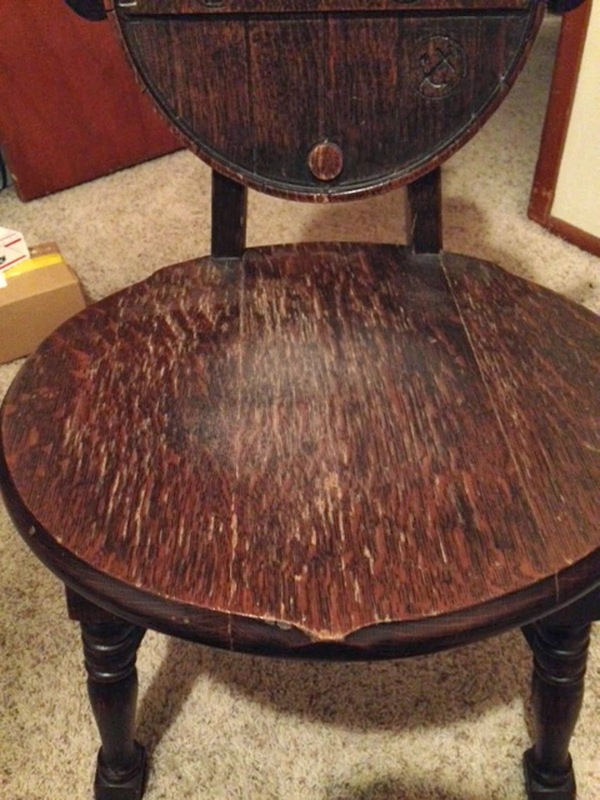 "I bought this same chair in Wichita, Kansas back in 2013, guy on craigslist was asking 50.00 and talked him down to 25.00, no damage its a absolute beautiful chair and cant imagine ever selling it but to help you guys out on the bottom of my seat it appears to have a stain mark where a tag was removed at one time, it has a second tag on ti that appears to hae been stained over or refinished possibly at some point the tag reads, Sold Exclusively for The Helmers Manufacturing co. there is no date but from what I could learn seems to have been made around end of1800's early 1900's"
"posted a comment on august 17th,2014 i bought same chair a year ago off craigslist in wichita kansas they were asking 50 i talked down to 25.00 said chair had been in family for decades anyways included pics and link in comment to help give you some more info on chair here are my pics of my chair." and a series of photos. 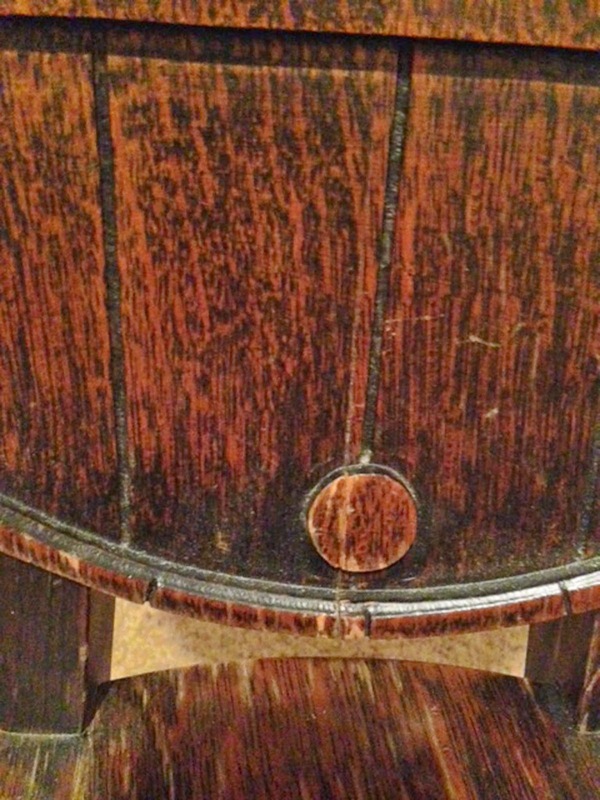 The owner pointed out that the bottom of the chair originally had two stickers, but that over the years, one had fallen off. 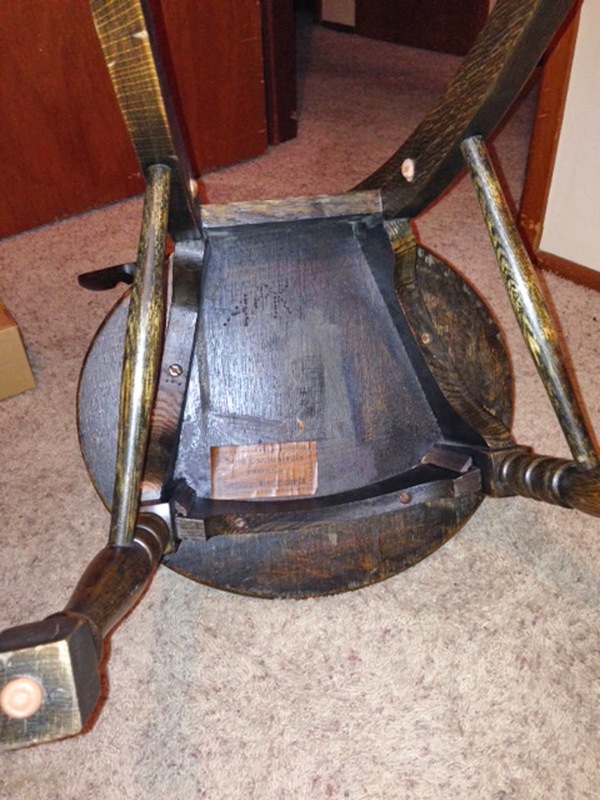 Based on my experience with antique furniture of this period, the missing sticker, no doubt, would have had both the name and address of the person / persons that this particular chair was built for. 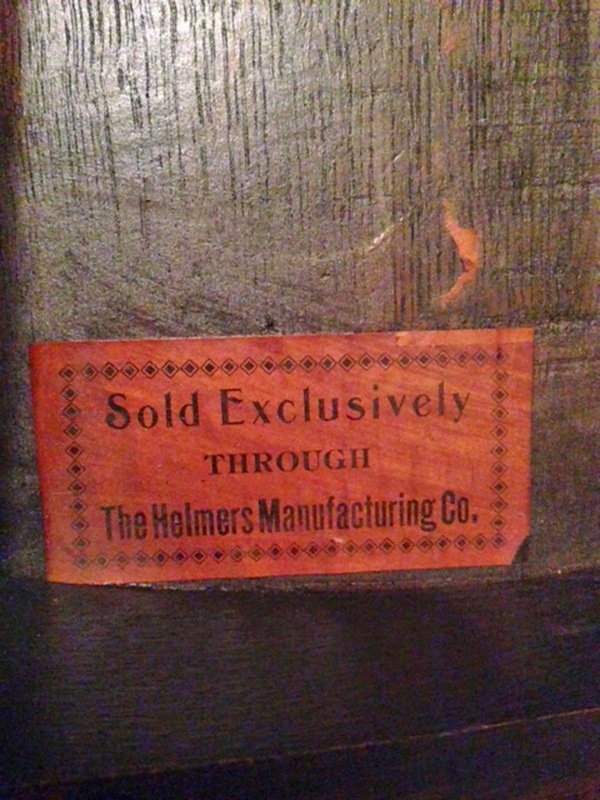 Henry J. Helmers, opened his furniture business in Leavenworth, Kan. in 1875. He came to Kansas City early in the century to establish a distribution warehouse. 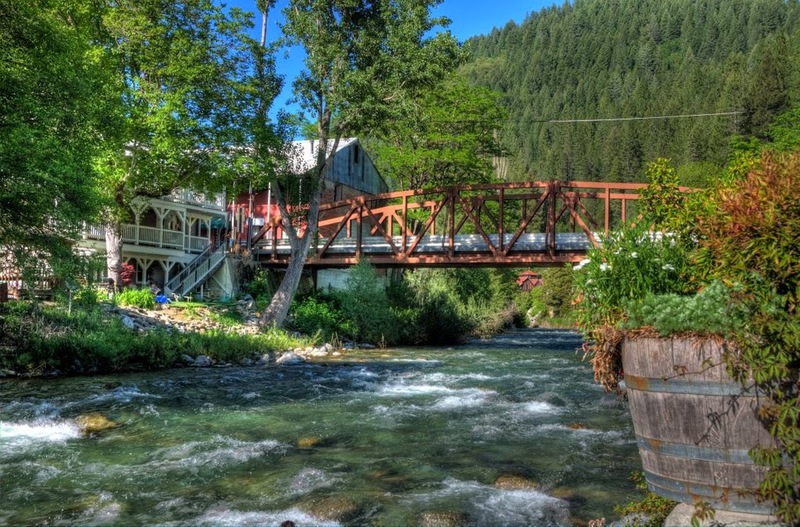 Looking for a location, he chose the site pictured because it was on the Interurban Line to Leavenworth. The viaduct had not been built at that time. 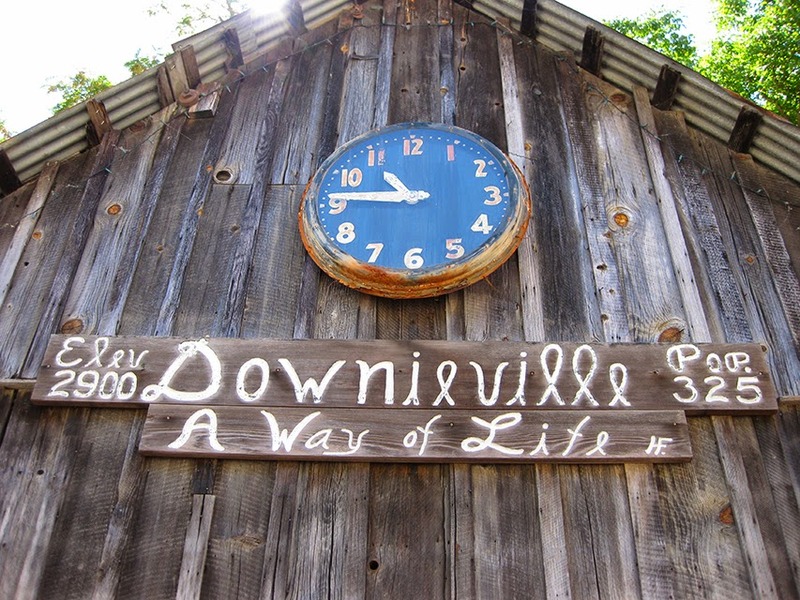 The site was that of the Fisher Brothers sawmill of the 1860's. Logs were floated down the Missouri to the mill and cut into lumber. The Helmers Manufacturing Company was a Leavenworth Kansas "For-Profit Corporation". Incorporation documents were initially filed on March 16, 1888. 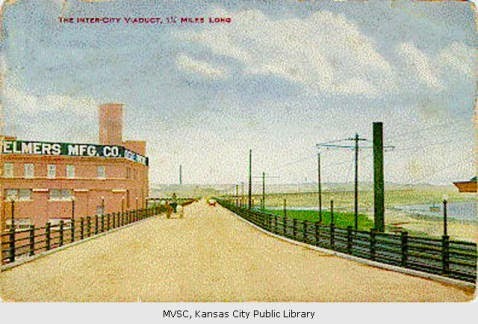 The postcard of the Helmers Manufacturing Company at 908 W. 8th, the Intercity Viaduct with horse-drawn vehicles, and the Missouri River in the background was mailed from Kansas City in 1913. The Helmers factory in Leavenworth was a long three-story building. The same architectural plans were used for the Kansas City structure, by cutting the plan in two and placing one half the building over the other. 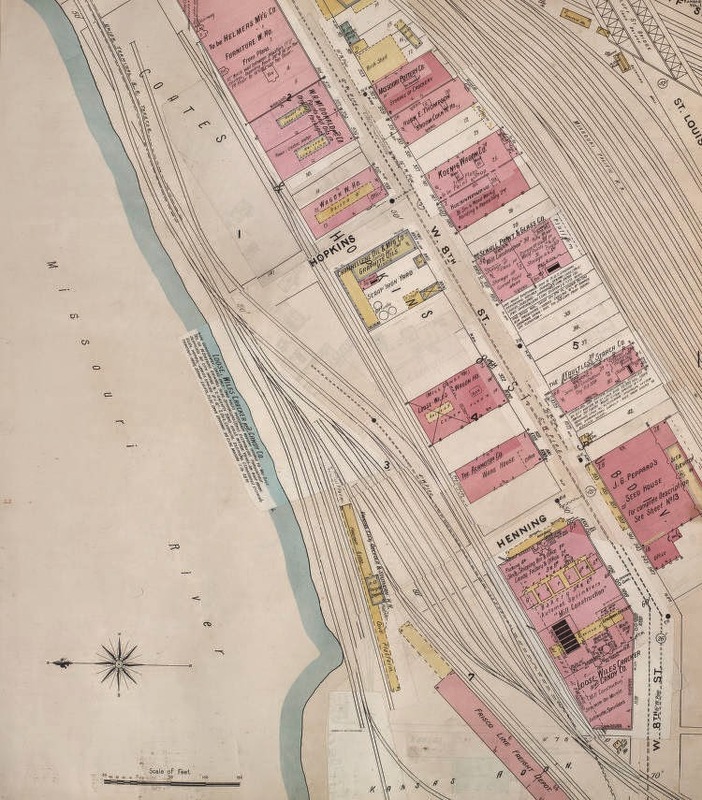 Plans had to be revised slightly when in 1907 Eastern investors began building the viaduct, and Helmers property was in its path. A corner of the building would have to be nipped off. 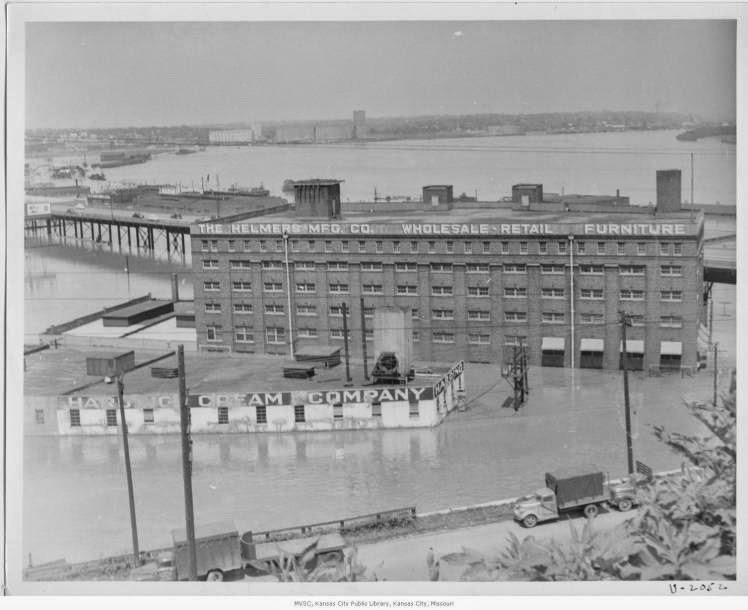 The furniture factory and the Kansas City warehouse were operated by the same Leavenworth employees, who made the trip back and forth to their homes in Leavenworth by the Interurban Line. After the viaduct was built a stop was made at Helmers and steps were built down to ground level. 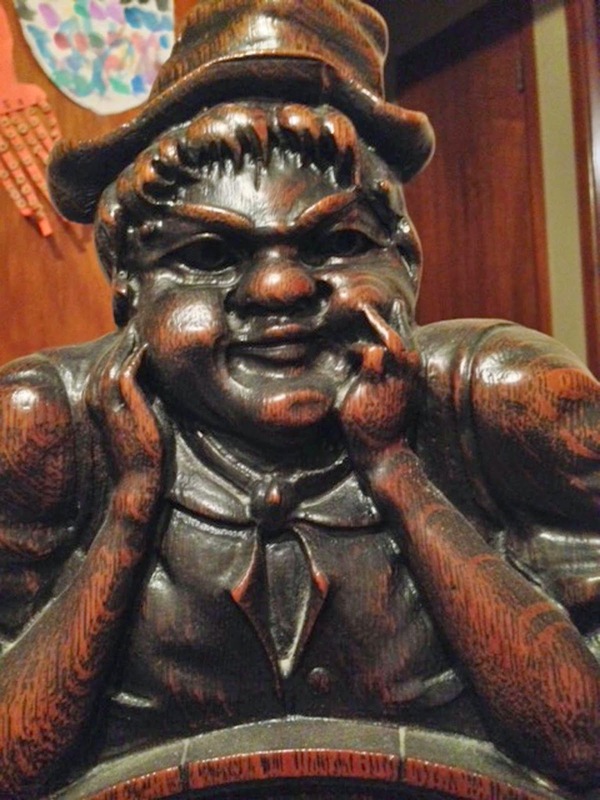 One mystery solved; the "Evil Chuckee" chair originated in Kansas, not on the west coast as originally hoped for. But who was he created for? If only that second label was still there! 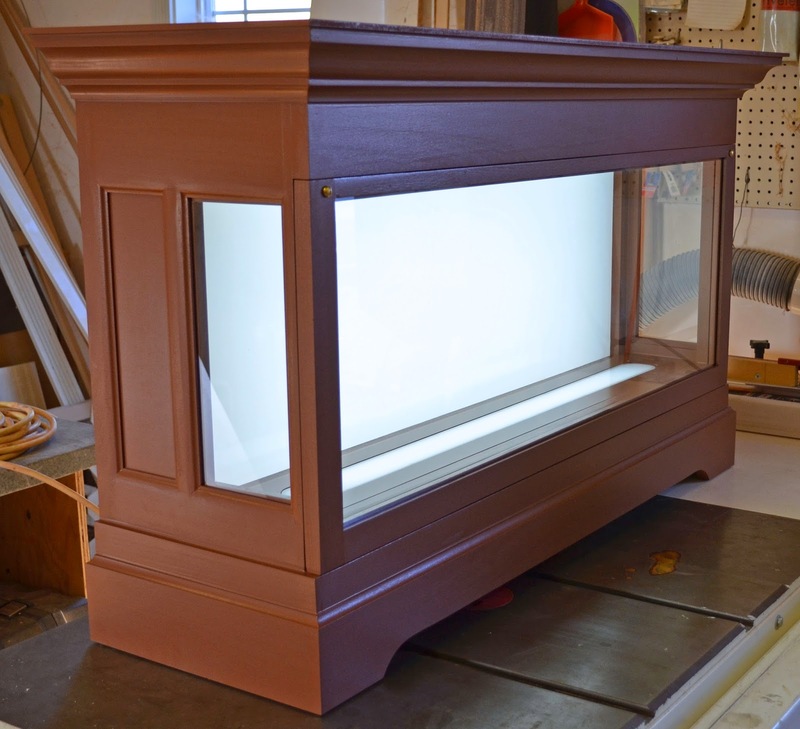 Thinking of upgrading your light source? You should! 1) 6,000 Kelvin scale lighting duplicates noon day sun. 100% accurate color rendition. 2) Minimal heat generation from the light source. 3) Up to 30,000 hour life expectancy. 4) No more "dead spots". 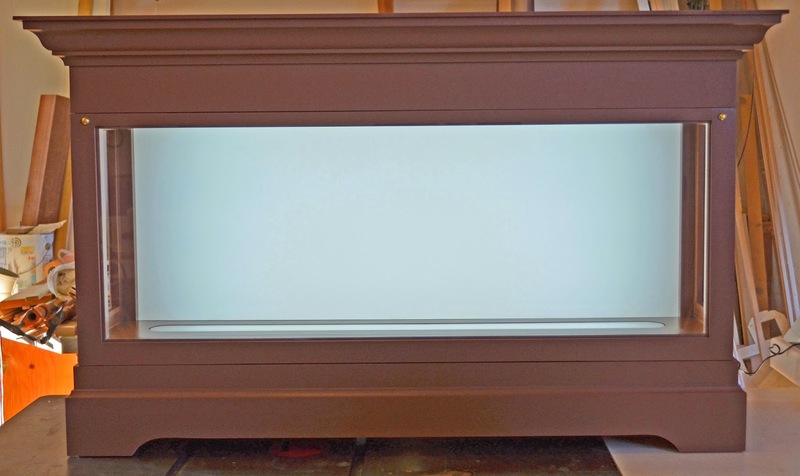 LED strip lighting has three hundred - 120* emitters per five meter strip. It's like having a solid sheet of light! 5) Easy attachment to most surfaces. Strips have 3M commercial adhesive backing. 6) Strips are flexible and can be bent in a radius. 7) 12 volt DC = safe, economical low voltage power. 8) Includes 60 watt - 120 / 12 volt transformer driver with hardwired 120 volt plug. 9) Expandable! Driver will support up to ten - 5 meter strips. Light up an entire room! 10) "Easy snap" quick connect for multiple runs. We've purchase a couple of very nice western whiskey collections this summer. Inevitably, I end up comparing new acquisitions to examples that I already have on the shelf. It never ceases to amaze me how many similar (but not identical) variations of Jesse Moore / Sole Agent glop tops exist. Lined up, the subtle differences immediately become obvious. It's not surprising though, considering the vast quantity of whiskey that Jesse Moore Hunt & Co. sold out west in the 1870's and 80's. 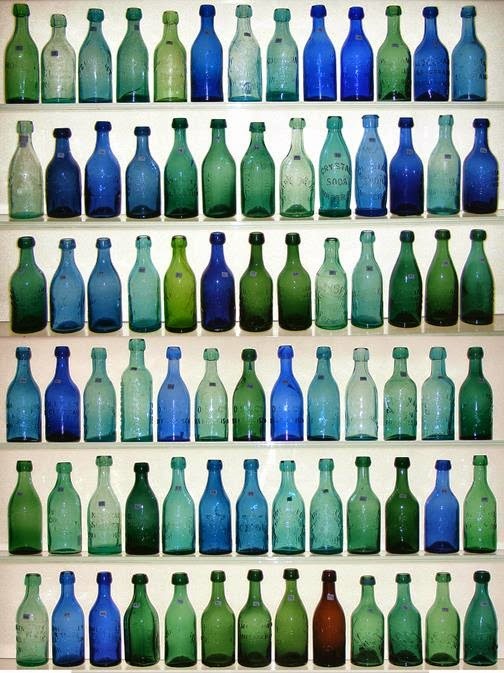 A single mold just wouldn't have accommodated the vast quantity of bottles required to keep up with demand. I did receive a bit of a surprise though, when I sat a "new" Adolph Harris picture whiskey alongside one that I'd had for many years; (the new example is the one on the left). Although the embossing looks the same, the actual bottles are very different. One is notably "fatter" than the other, and the slug plate is positioned differently. The mystery deepened when I turned the "new" example over and looked at the base. According to my notes, I've had a total of five (including this one) Adolph Harris pictures in the past 48 years. 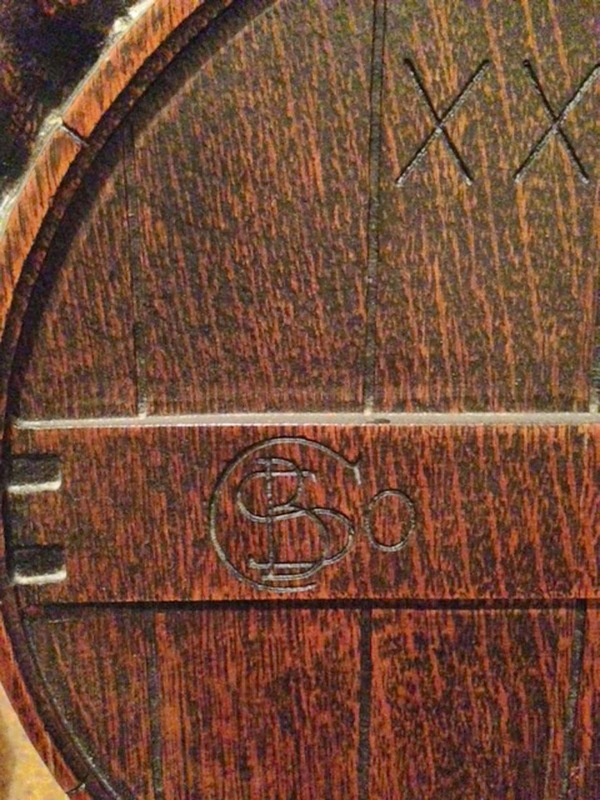 All, up until now, have had the identical base mark; "265 1/2". The "new" one has a blank base. 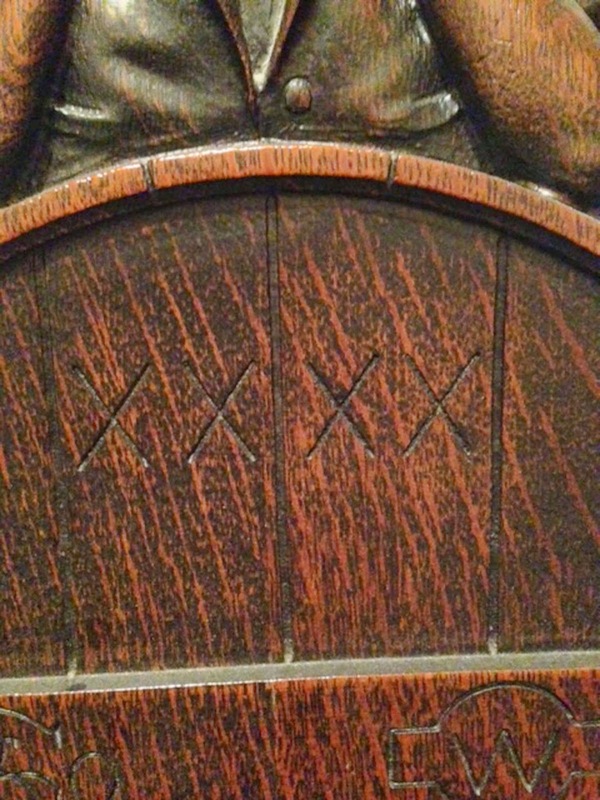 The new one is 3" across the base, while the "265 1/2" measures 2 13/16". The slug plate positioning on the new one is different as well being positioned 1/8" lower, than the "265 1/2". Also odd is the fact that, although the embossing is identical down to the millimeter, the slug plate on the "new" one with the plain base is 1/8" wider, than the example with the "265 1/2" on the base. How can they be identical when both the radius and the diameter of the bottles differ? It is also remarkably cruder than any I'd encountered previously, possessing crudity in keeping with what we expect to see on a ca. 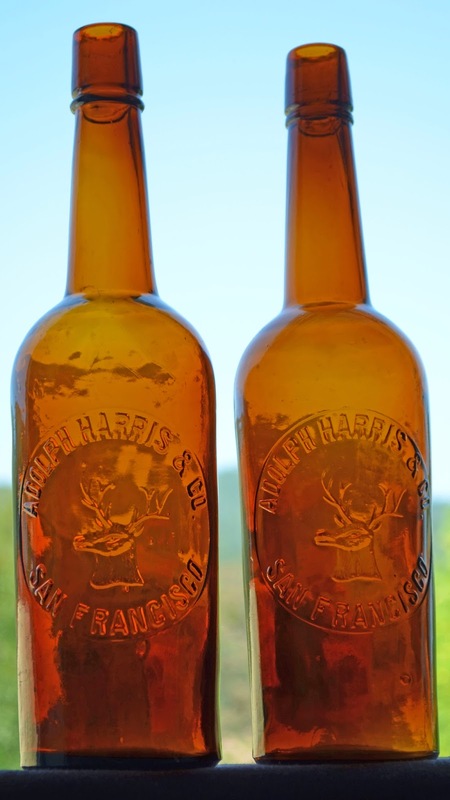 1890 bottle, not a post turn of the century example. I'd be interested in making a tally of all examples of Adolph Harris. Anyone else out there have this bottle with a plain base? How crude? Color? 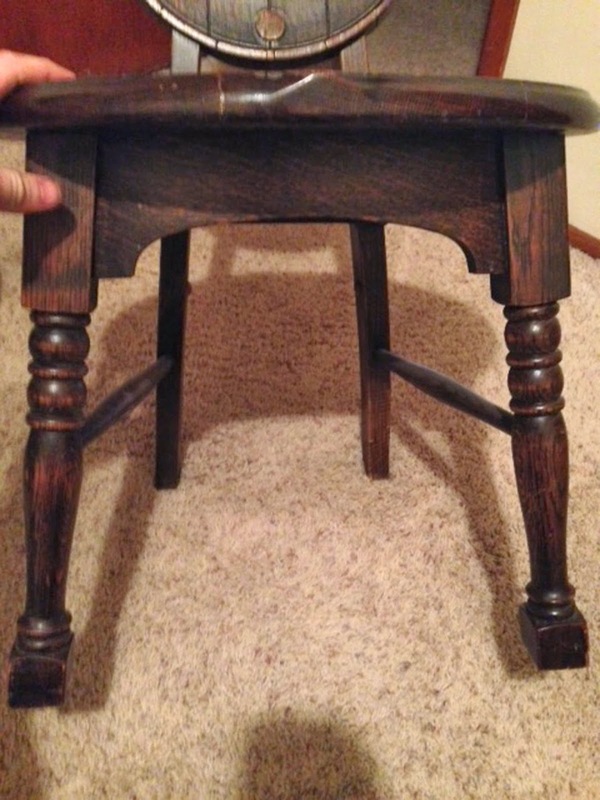 Looked at the one I got from Deer Lodge it has the smooth base , no numbers . I handled and counted 23 Near Mint to Mint examples of the Adolph Harris back in 1996 when I was counting all the glop-tops and picture whiskies. I wasnt aware of the mold difference at that time. Not sure if I counted the one you just acquired either. If not, then that would make at least 24 total. The one I have has the smooth base,not crude, light amber. It's like being a kid again and waiting for Christmas.